You've found the love of your life, and now it's time to plan your dream destination wedding. Your wedding day is one of the most important days of your life, it's a day full of many beautiful memories, and it's a day you want to remember forever. 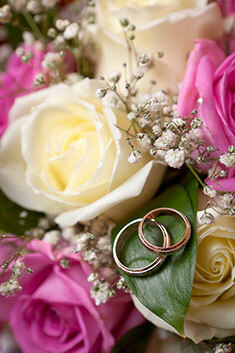 Planning your destination wedding with us makes the process easy for you and your guests. 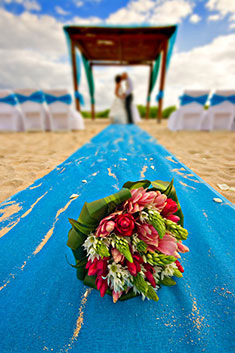 When properly planned, a destination wedding can be affordable and cost less money compared to a traditional wedding. But most Brides and Grooms don't know where to start. That's where we come in. Boutique Vacations will help you design your destination wedding, arrange all of your travel, and will also serve as a point of contact for all of your guests' travel needs. Our Destination Wedding Specialist's will guide you through the process of choosing where your lifelong memories will take shape and design the wedding of your dreams. Whether you choose a beautiful unique destination wedding on a cliff top overlooking the panoramic view of the beaches in Barbados, a charming seaside chapel in Maui, or getting married in Portofino, one of the most picturesque villages along the Italian Riviera. We have your perfect destination. As a company, we are dedicated to providing the highest standard of service and are devoted to making the planning process for your special day enjoyable and stress-free. Our company has access to the world's top wedding planners who will guide you through the planning process and travel arrangements for you and your guests. All you have to say is "I do." 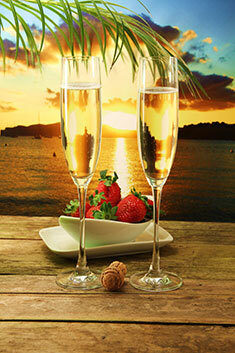 We will work with your budget and help you find competitive rates for you and your guests. A complimentary wedding website and emailed Save-the-Dates, to make communicating with your guests easy. For a limited time, get $25 for each guest room booked. The more guests who book, the more your credits add up. Call 877-881-8847 for details. Peace of mind emergency after-hours service during travel. Upgrades, special amenities and exclusive offers through our Preferred Partner Perks. 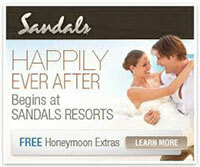 Couples Resorts- Limited time offer, stay 6 nights or longer and your "One Love Wedding" Package is FREE. Or, $500 for a wedding less than 6 nights. Excellence Resorts- Limited time offer, stay 7 nights in the required room category or if the bridal party books a minimum of 5 rooms of any category for 7 nights and your "Excellence of Love Wedding" Package is FREE. 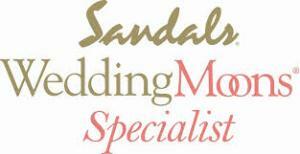 Sandals Resorts- Limited time offer, stay 6 nights or longer and your "Beautiful Beginnings Wedding" Package is FREE, a $500 value. Or, apply the $500 wedding credit towards creating a custom design wedding. Secrets Resorts- Limited time offer, stay 7 nights in the required room category or if 5 rooms, any category, are booked for at least 3 nights and your "Wedding in Paradise" Package is FREE. Let us help you plan your perfect celebration.